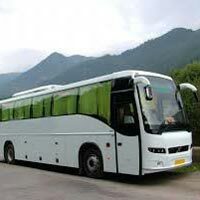 Evening at 16:00 hrs depart for Manali by AC Volvo Coach. Morning arrival at Manali. Check-in-to hotel. Breakfast and rest at hotel. Afternoon start half day sight seeing tour for Manali visit Old Manali visit Manu Temple, Vashisht Temple, Hidimba Devi Temple (A glance of Himachali Artitecture), Van Vihar and Monetary. Evening Dinner at hotel and overnight stay. Morning After Breakfast start for the Sight Seeing of Rohtang Pass, Solang Nallah famous for Adventure Activities, Evening Dinner at Hotel and Overnight Stay. Morning after Breakfast full day excursion for Manikaran and evening back to hotel. Dinner and overnight at hotel. Manikaran:- Manikaran, 45 kms from Kullu and just 3 kms from Kasol, is famous for its hot springs. Thousands of people take a holy dip in hot waters here. The water is so hot that Dal, rice & vegetables etc. can be cooked in it. It is also a well known pilgrimage place for both Hindus & Sikhs. Ramchandra and Shivaji temples besides a Gurudwara are there. According to an old legend, Manikaran is connected with Lord Shiva and his divine consort, Parvati, who lost her ear rings here, which gave birth to hot waters on the bank of Parvati River. Hearing this religious myth from the priests will be more rewarding and interesting. Morning after breakfast drive for Nagar the famous art gallery and famous for its scenic evening back to Manali visit Mall Road free for shopping overnight at hotel with hot Dinner. 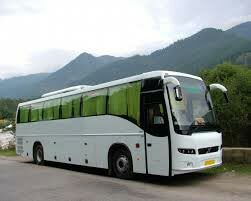 Day free for leisure by own and afternoon transfer to bus stand to board the Volvo coach for Delhi. Morning arrival at Delhi end of our tour with sweet memories of Manali.